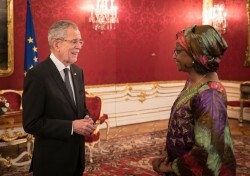 The new Ambassador of the Republic of Niger to Austria Fatima Sidikou presented President Alexander Van der Bellen with her letter of accreditation at the Vienna Hofburg. On January 9, 2018, Federal President Alexander Van der Bellen received the newly accredited Ambassador Fatima Sidikou at the Presidential Chancellery of the Vienna Hofburg to present her letter of accreditation. 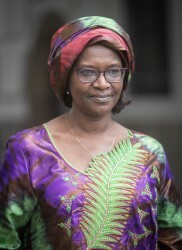 The newly appointed Ambassador of the Republic of Niger was accompanied by Envoy Haoua Alou.